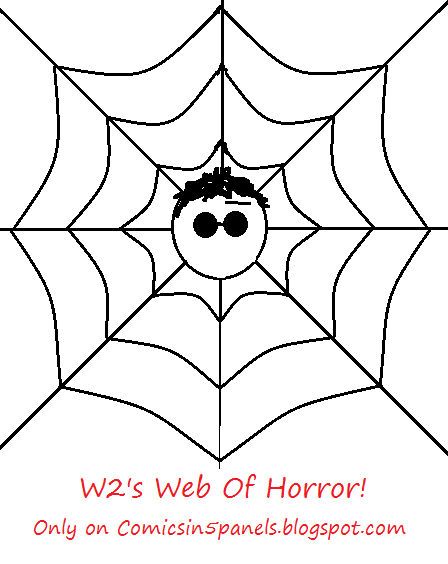 Comics In 5 Panels: W2's Web Of Horror: The Boy Who Fell. So? Ready for the spookiest day of the year? Got enough candy? Got yourself a costume that won't make you look like a male prostitute? Do you have a stack of new spooky comics? The last two years, I have searched for comics that could be appropriate Halloween reading. But this year, I will do something... slightly different; I will recommend you a couple of web-comics. 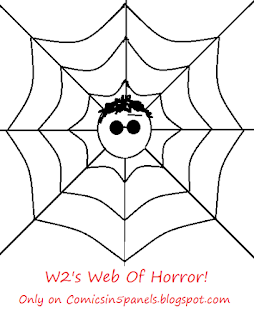 And there are plenty of creepy, bloody, scary and dark web-comics. 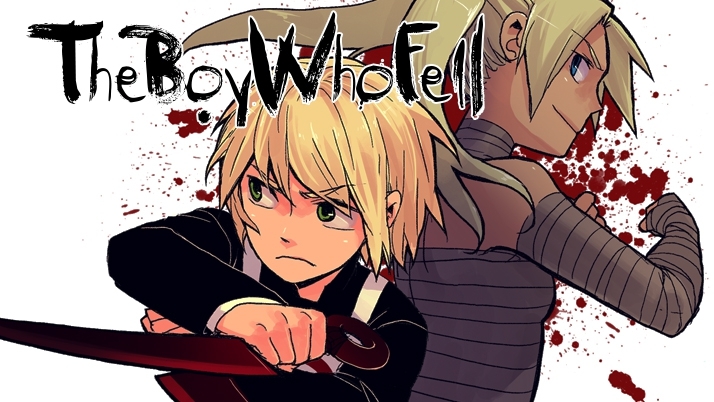 First up; The Boy Who Fell. Atsushi Ren, a 13 year old timid boy. He has few friends, since he and his mother moves from place to place before he can get to know any kids at his own age. But the day he finally manage to befriend someone in his current school... he dies. And even worse; he ends up in hell, greeted by Lord Devil. That is of coarse very confusing for the lad, since he can't remember doing ANYTHING evil or even wrong in his short life. But the devil assure him that he is dead indeed, and that he just has to deal with it... OR he can participate in grand Hell Tournament, a contest only held once every millennium. The winner will be granted a wish, that can be anything. Even returning to life. But it's not a knitting contest. It's a life-threatening competition where everything is allowed, including killing your opponent. Ren has less than a month to learn how to fight the demons that anticipate in the tournament as well, and he is now thrown into a world of monsters and horrors, all to get back home. His only help is Sorian, a fierce demon who owes her life to Ren, who in return trains him so that he at least will be capable enough to SURVIVE. The art and story is obviously very inspired by manga, but has it’s own unique style that gives the series a dark and fun tone. While this isn’t the first story I’ve read about a good person who goes to hell, "The Boy Who Fell" is one hell of a web-comic. Even though I'm not that big on "Train-then-fight-then-train-again-and-fight-again" mangas, this one is more fluid than Naruto or Dragon Ball. Besides leaning how to defend himself, Ren must evolve mentally as well, and we see him get more and more worried as he realize that he most likely has to kill someone. But he has no other choice, if he wish to return to the land of the living. Here is a link to the series: www.boywhofell.com. Hope you enjoy.